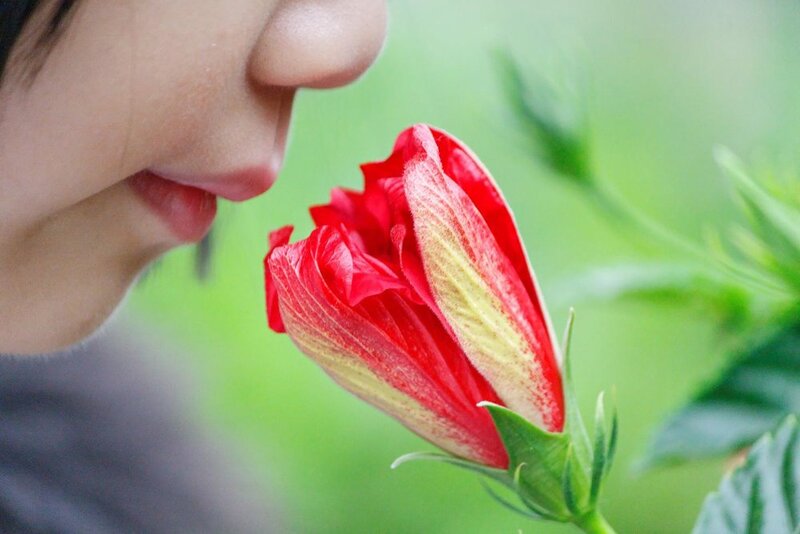 Olfactory input (sense of smell) comes through the nose and goes straight to the most primitive, emotional part of the brain. So if a child is upset by something being stinky, it’s no wonder. Certain odours can stimulate, calm, or send them into sensory overload. Explore scents with each child to find ones that work best to meet your goal (to soothe them or to wake them up). Everyone has different preferences, but vanilla, lavender and rose scents are generally calming. Peppermint and citrus are usually alerting. Let’s say a child needs help staying calm and loves vanilla. You can use high-quality vanilla soap and bath oils in water play or at bath time, vanilla candles or essential oils in at rest time or bedtime, and vanilla body lotion. Avoid synthetic scents. Play a smelling game with each child. Have them close their eyes or wear a blindfold and try to identify smells such as citrus fruit, flowers, coffee grounds, spices such as cinnamon, and so on. As always, there are so many ideas you can search for online if you want to continue your research.